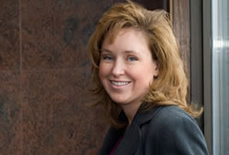 Melynda Layton became a litigation lawyer in 1996. She started her career in a boutique Toronto law firm; Melynda’s specialty has always been employment-related disputes. She provides advice to both employees and employers on all employment-related matters. Melynda has worked on both Bay Street and in Ottawa firms. In 2006 Melynda brought her hands-on experience and perspective to her own common-sense, no-nonsense legal practice, Layton Law Office. She has successfully managed her own office for over eight years now. Melynda represents individuals and corporations at the Employment Standards Branch, Workers' Compensation Appeals Tribunal, Ontario Labour Relations Board, the Canadian Industrial Relations Board, the Human Rights Commission, the Ontario Court (General Division), Employment Insurance Board of Referees, and the Occupational Health and Safety Board. She is a frequent guest-speaker at employment and career related events and writes on employment issues including employment contracts, independent contractor issues, pregnancy and parental leave, restrictive covenants, employment benefits, and workplace policies and procedures. Melynda holds a Masters of Industrial Relations from the University of Toronto, a LLB from University of Ottawa, and a Bachelor Degree in Pyschology and Law from Carleton University. Melynda is a strong supporter of initiatives that address the social and professional development needs of women in our community. Melynda sits on the Board of Directors for iSisters Technology Mentoring Inc. which is a Canadian charitable organization founded in 2001 that connects women in need with technology through mentoring.